The train of the bridal gown is perhaps its trademark, feature setting it apart from the ball gown and other formal designs. 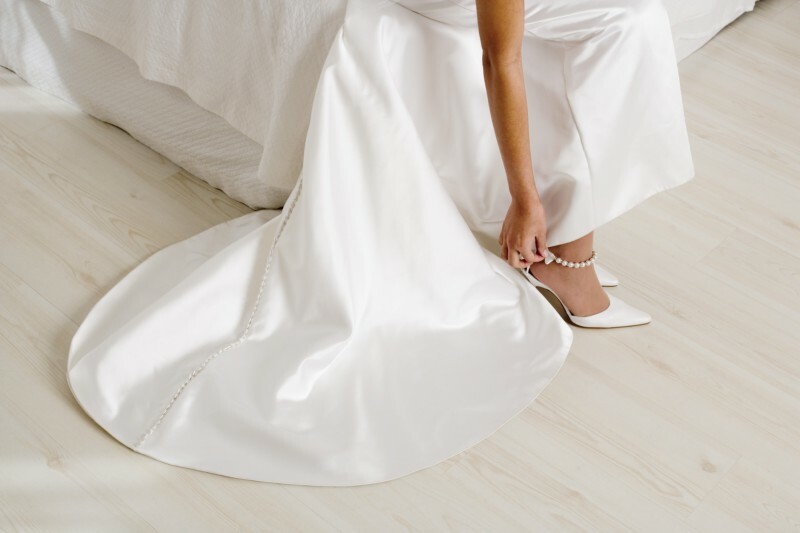 There is no hard and fast rule when it comes to brides selecting their perfect length of train, so check out our guide to bridal train lengths. This is the longest train at around 2.5 metres. However, at royal weddings, after which it is named, trained are likely to have been far longer than this. Princess Diana’s wedding dress was a stunning example of a royal train. As such trains are no more than two metres in length walking is never really a problem, the fabric of the train should just follow. Having said this, the bride will need assistance upon her arrival at the venue and later when setting up for photographs. If the train is intricately adorned with embroidery and beading this may make walking much more of a challenge. With a length of around 1.5 metres this is the first full train. 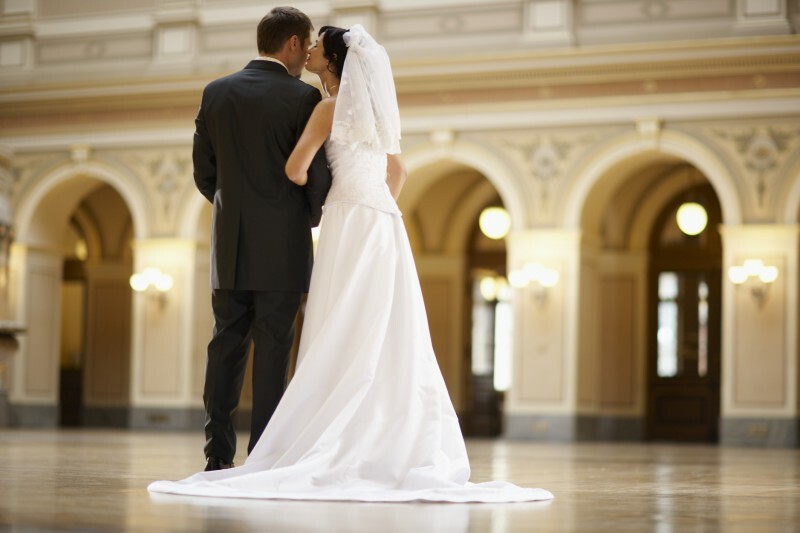 The bride wearing a chapel train may need some assistance upon arriving at the church or registry office. Help will also need to be on hand during the taking of the photographs. However the bride shouldn’t need any help walking down the aisle. The shortest of all the available trains, the sweep extends around one foot from the base of the gown. This is the best option for those wanting the bridal look of a train without the hassle traditionally involved. A sweep train can make the bride appear slimmer while remaining regal and stylish. Once the ceremony is over and the final photograph has been taken, brides sporting the longer train designs will need their fabrics to be lifted in order for them to move freely and comfortable. Such a process involves setting up ties at the back of the gown, securing the train and giving the effect of a traditional bustle. Secured properly, the gown and train will resemble the shape of a rather attractive bell.